Movie Outtake: Is It a ZIL? A Honqi? When this picture popped up on a Google Image search I was doing, I did a double take. A Soviet or Chinese limo? It’s a 1976 Brazilian Ford Landau stretch limo. The 1966 bog Ford tooling was sent to Brazil in 1966, and it was made there until 1983. 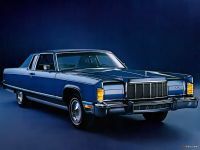 Although the basic body stayed the same during its long run, the front end received numerous changes to make it look a bit more current. 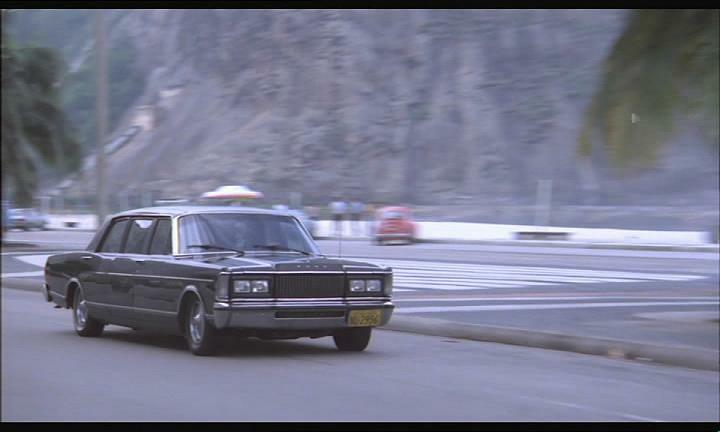 The Landau version came along in 1971, and this is the basis for that stretch limo in the first shot. Trying to channel as much Continental vibe as possible, I’d say. These Brazilian big Fords also sported the 292 Y block V8 until 1970. Neat find, wonder how many of these still exist in road worthy form? Those wheelcovers look recycled too. Those look like the ones on big Lincolns from 75 to maybe 81 or so. The Ford (GB) Mk.IV Zodiac and Executive did the same with the Lincoln logo. A crosshair for aiming. The 1966 to 1983 would be considered a normal run for a body series in the 1980’s through the 2000’s. My first thought was: some crazy Lincoln knockoff–Soviet or Chinese. Soviet, Chinese …… or North Korean ? 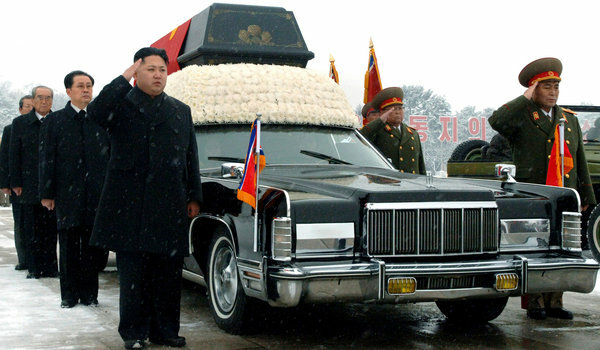 Looks like the N. Koreans are partial to mid-’70’s Linc’s & Merc’s …..produced by those blasphemous Americans at FoMoCo. I’ve seen a few of these big Fords in films set in South America – easy to spot. A ZIL-114 is more boxy, and you can just make out the Ford letters on the front. If we ever visit South America, I’d definitely keep my eyes peeled for these big old Fords, along with other Detroit iron that stayed in production down south long after most North American examples rusted away. Not putting money on finding a ZIL, but you never know. I saw a 1986 GAZ-14 Chaika limo at a car show in Toronto’s Distillery district several years ago – the owner said it originally came from Bulgaria. I wanna see a country squire version of said limo! Hongqi like CA770 has a look similar to an inflated Austin A110 sedan. At first glance, the car may look like a mid 70 Gaz Chaika. In fact, this limo was produced in Brazil from the brazilian Ford Landau. Once there was a big dealer in the city of São Paulo, named Souza Ramos, that produced a variety of customized vehicles from all sort of Ford lineup. 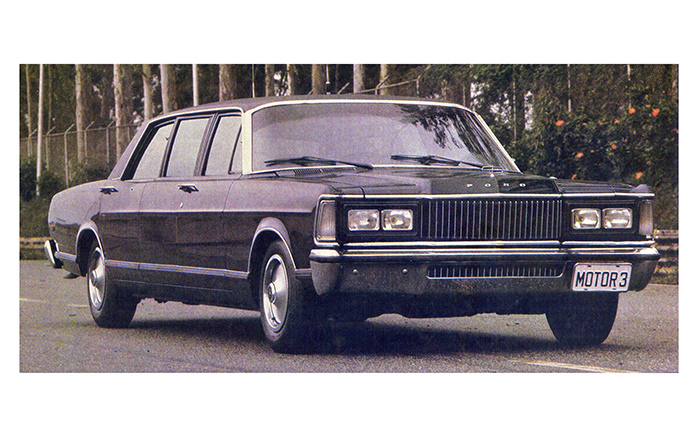 This model pictured in the CC seems to be a ’83 Souza Ramos Limousine. Check out in the website below. I did a quick Google Search of Argentina Fords, they did the same thing with the Fairlane. That is, they took the car the US knew as the 68 Fairlane/Torino and produced (with changes to the front end) until 1982. They even got all the closed body styles including the Ranchero. IKA in Argentina got the 1965 Ambassador body dies for assembly there from 1967-on. IKA got several years use out of it with various trim and grille changes, as Ford did with the 1967 bodies. Paul, at the beginning you say it’s an “Argentine Ford”. You then explain it is Brazilian (the first picture has an old Brazilian plate), but I guess you forgot to replace that. That was a typo. I transposed the two countries momentarily. It was based on the ’66 Ford, not the ’65. There are differences between the two. Oopss…you are right. I’m fully aware of the differences between 65 and 66, and yet I was always sure that they were a copy of the ’65. 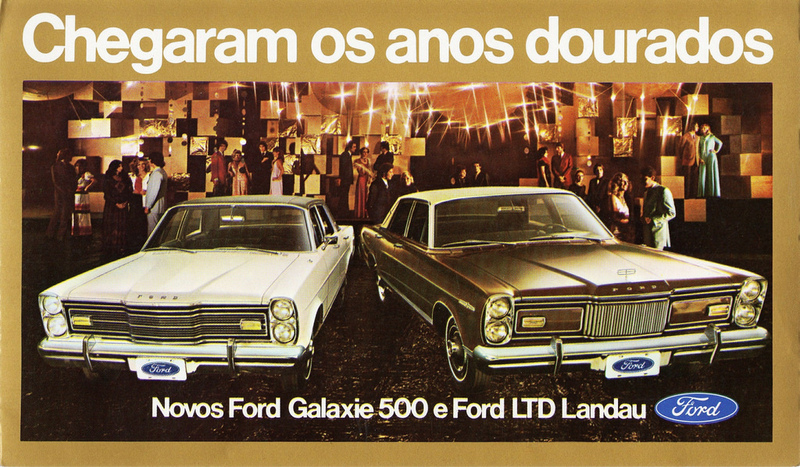 From 67 to 69 the brazilian Galaxie came with the 272 cid ” Y” block; then it got the 292 cid untill 1975. 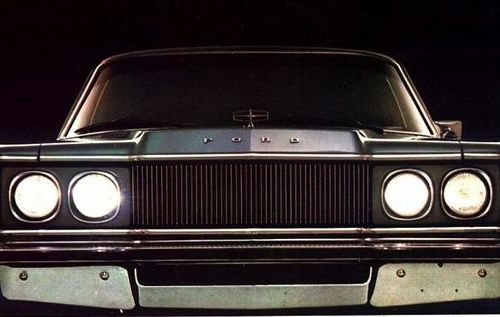 The “horizontal” headlights facia came in 1976. It was also in 76 the Galaxie/ Landau / LTD line up finally received the 302 V8 as the only engine option.